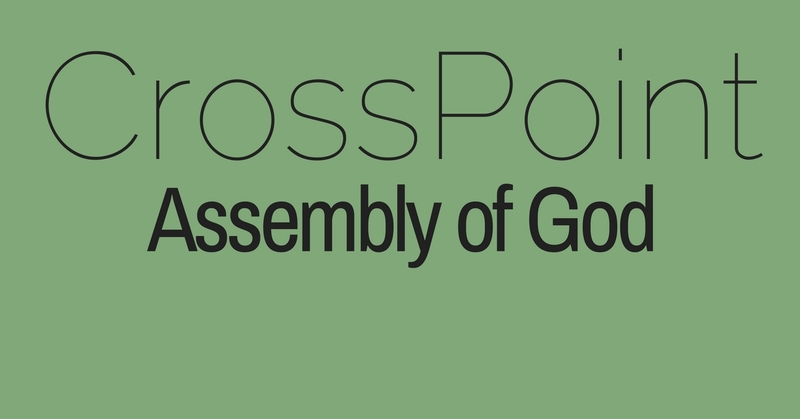 We believe everyone can find their place at CrossPoint Assembly of God. CrossPoint is a welcoming church inviting all to come and dwell in the comfort of our God. At CrossPoint, we believe that God's Word has the ability to change lives. As a church we apply the truth of the Bible to our everyday lives and share life together as a community. When you walk through the doors at CrossPoint, our hope is that you feel like you’re a part of the community. Our ultimate desire, as a body of devoted followers of Jesus, is to create an environment where people can experience the presence of God in a life-transforming way. From a cup of freshly brewed coffee to our unique and passionate ministries, we want to give you and your family the opportunity to get connected. We believe that church is more than a weekend service, it is about allowing every person to engage with God in a personal and intimate way. There’s nothing like the smell of good coffee (or tea) to make it feel like home. The Bible tells us to speak the truth in love. The Bible is God’s truth. At CrossPoint we seek to explore, understand and apply God’s truth to our lives at every level in a spirit of love. You will find a growing variety of resources to help you grow in God’s truth.